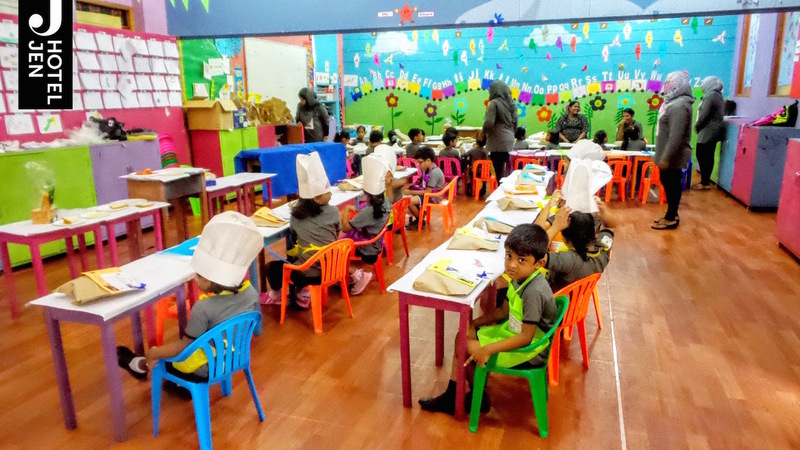 On International Chefs Day, Chefs from Hotel Jen played a supportive role with teachers of Ahmadhiyaa School, parents and children in the event organized by Chefs Guilds of Maldives to promote “Healthy Kids, Healthy Future” campaign. 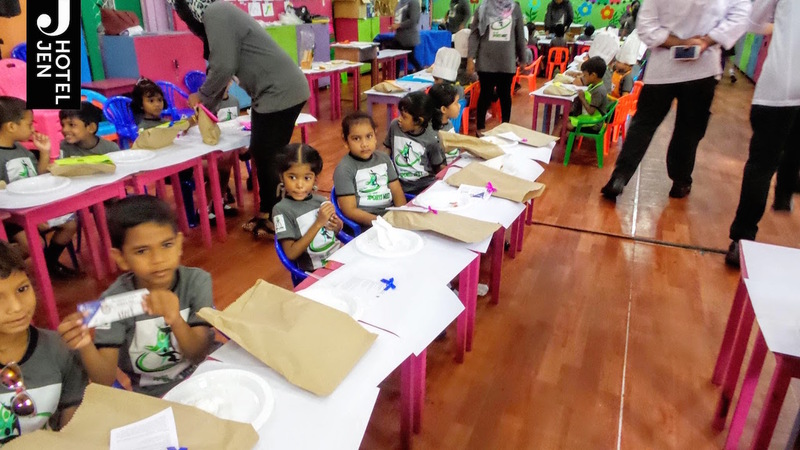 About 200 children of ages 4-6 years were treated to some fun activities and healthy meal treat and fresh apples from Hotel Jen. 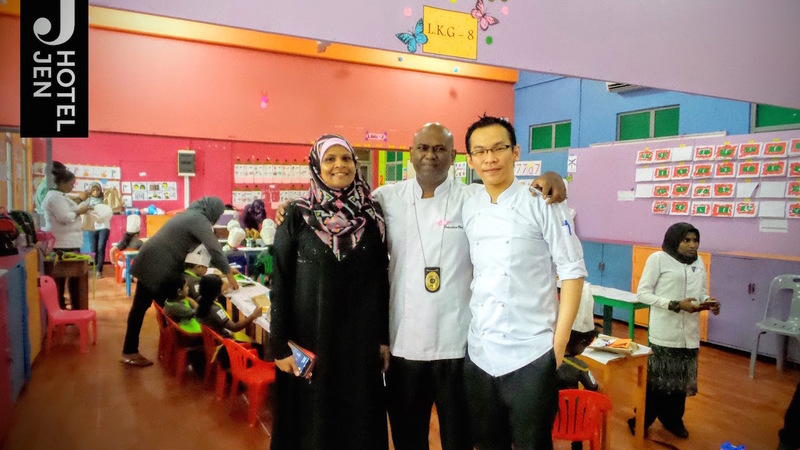 Hotel Jen’s Executive Chef, James Francis and Pastry Chef, Damien Lien were personally present interacting with the children imparting tips of fun-healthy-food and how to make a vegetable or fruit look pretty and exciting to eat. The chefs had some serious fun away from the hotel.